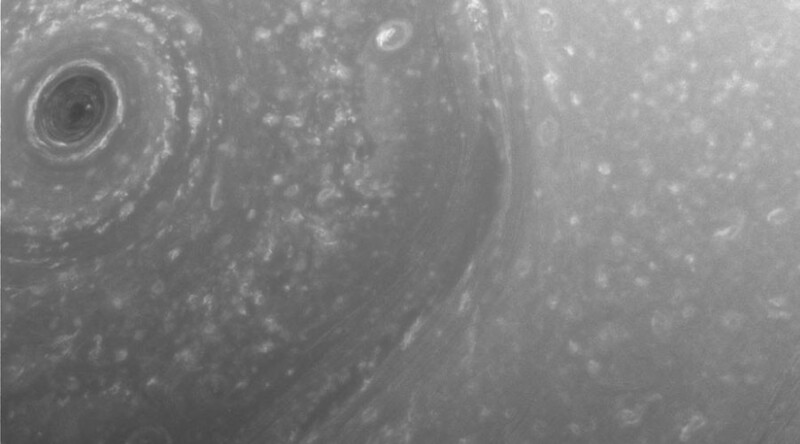 NASA's Cassini spacecraft has sent its first views of Saturn’s atmosphere taken during its latest mission to the planet, including what NASA described as an “intriguing” look at the planet’s hexagon-shaped jet stream. 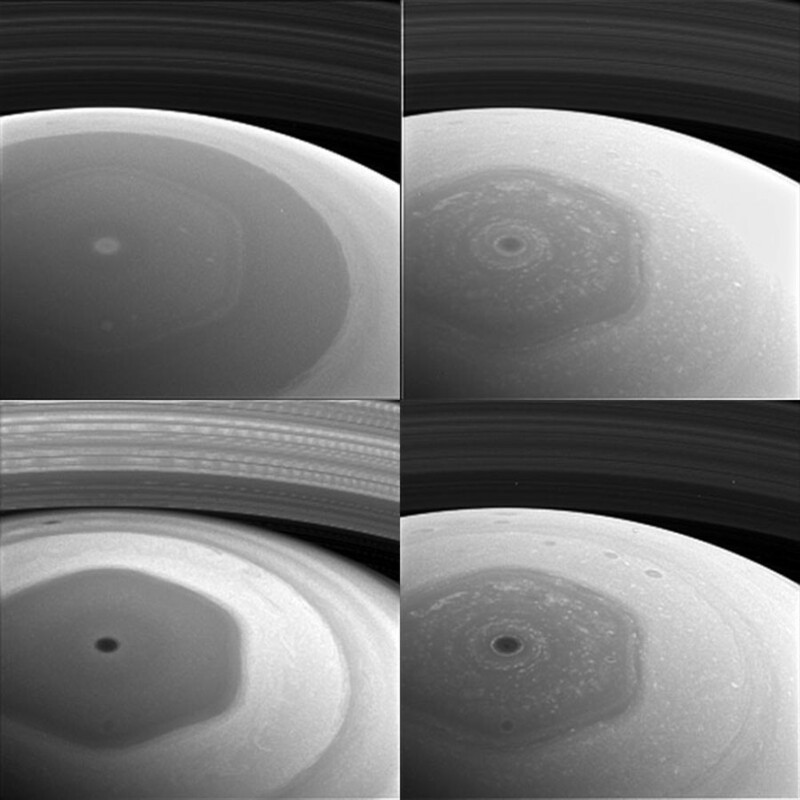 The images, captured on December 2 and 3, were taken from high above the planet’s north pole, just days before its first dive past one of Saturn’s outer rings. “This is it, the beginning of the end of our historic exploration of Saturn,” said Carolyn Porco, head of Cassini’s imaging team at the Space Science Institute. “Let these images – and those to come – remind you that we’ve lived a bold and daring adventure around the solar system’s most magnificent planet." The images show the mysterious hexagon-shaped jet stream around the planet’s north pole. Each side of the stream is about as wide as Earth, while a circular storm is at its center. “We still don’t understand how the hexagon is maintaining its non-circular shape. It is unique in the solar system,” project scientist Linda Spilker said. The images were taken using the spacecraft’s wide-angle camera, at a distance of about 640,000km (400,000 miles) from the planet. The photographs are viewed with four different spectral filters, each one revealing clouds and hazes at different altitudes, thanks to each filter’s sensitivity to different wavelengths; violet, red, near-infrared and infrared. Future images from Cassini will show images taken during the ring-grazing approach, including some of the closest views of Saturn’s outer rings and moons ever seen. Cassini has been exploring Saturn’s system since 2004. It has discovered a global ocean with hydrothermal activity and liquid methane seas on its Titan moon. The spacecraft has begun its final chapter of its mission. It will take 20 orbits and 22 plunges by Saturn’s rings before its final dive into the planet’s atmosphere.